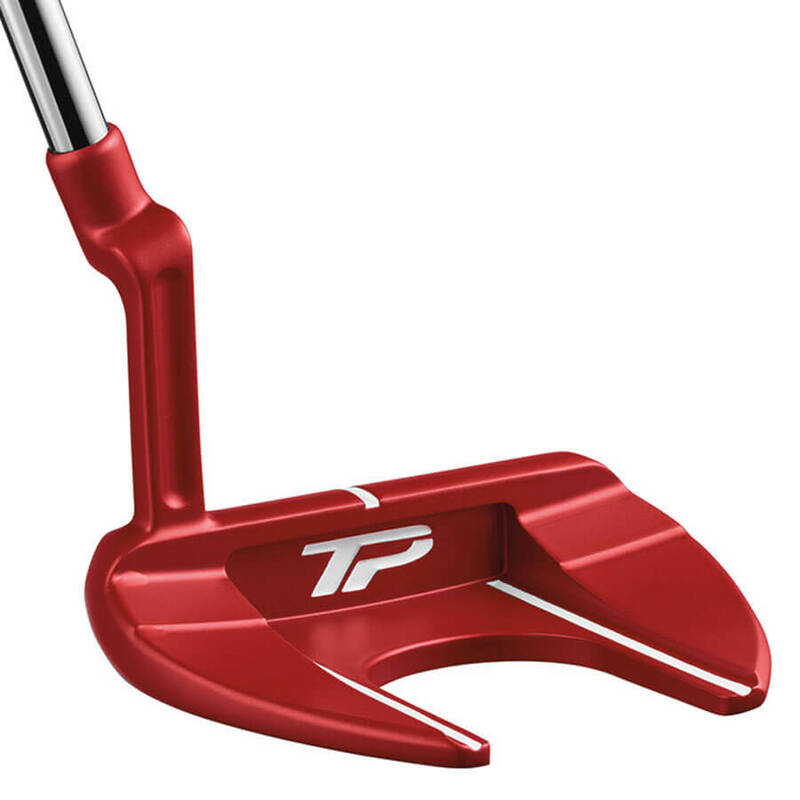 Taylormade is on a roll launching newest clubs for its fans and golfers around the world, with the launch of TP Red Putters, it has extended its existing TP Collection of Putters. Taylormade launched P790 Forged Irons in August, which got infringement case launched by PXG against it. The first hearing was won by Taylormade and the next hearing on the same issue is pending on 14th Nov. Within two weeks of P790 launch, Taylormade announced the launch of M CGB Irons. 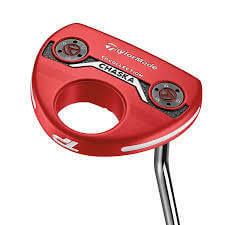 Now with the launch of TP Red Putters, Taylormade is looking to encash on the huge demand of Taylormade Spider Tour Red Putter, which was used by Jason Day in the 2016-17 season and The Masters Champion Sergio Garcia. This surely surged its demand in the mass and to hear them is Taylormade’s gift in this form. Taylormade after seeing the value launched TP Collection Putters featuring a Pure Roll 80/20 insert and classic head shapes, getting immediate attention from Dustin Johnson and Rory McIlroy. 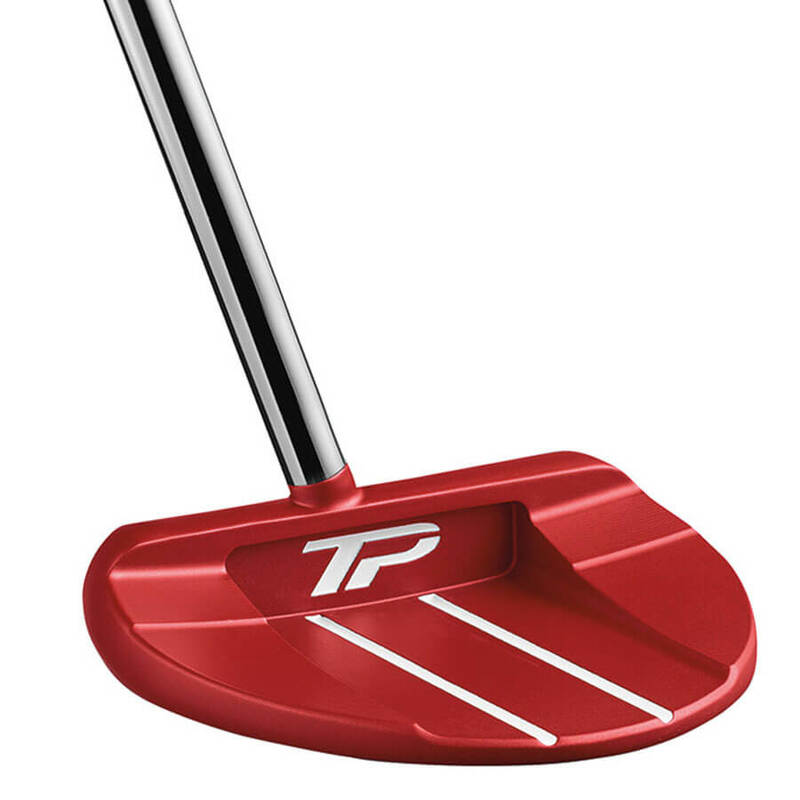 When both the putters got this response, Taylormade rolled out TP Red Putter joining the TP Collection with the red finish used on Spider Tour. 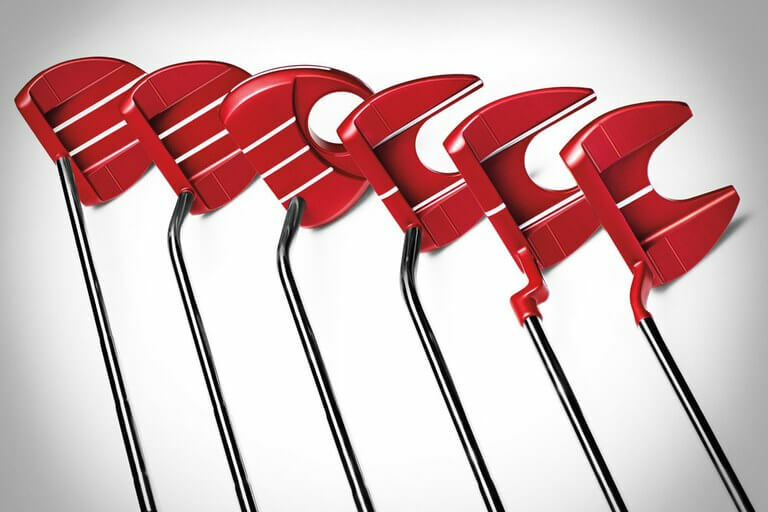 TP Red Collection comprises of six performance mallet models, each head milled from 304 stainless steel and outfitted with a variety of sightline and hosel options promoting improved alignment for different players. All six putters have a head weight of 355 grams, 3.5 degrees of loft, a 70-degree lie angle, and come in either 34 or 35 inches. The sole weights in the heel and toe are also interchangeable to dial-in mass for optimal performance. The 6061 aluminum and polymer-grooved Pure Roll face insert combine a softer feel with 45-degree grooves to promote a better forward that reduces skidding on a variety of putting surfaces. 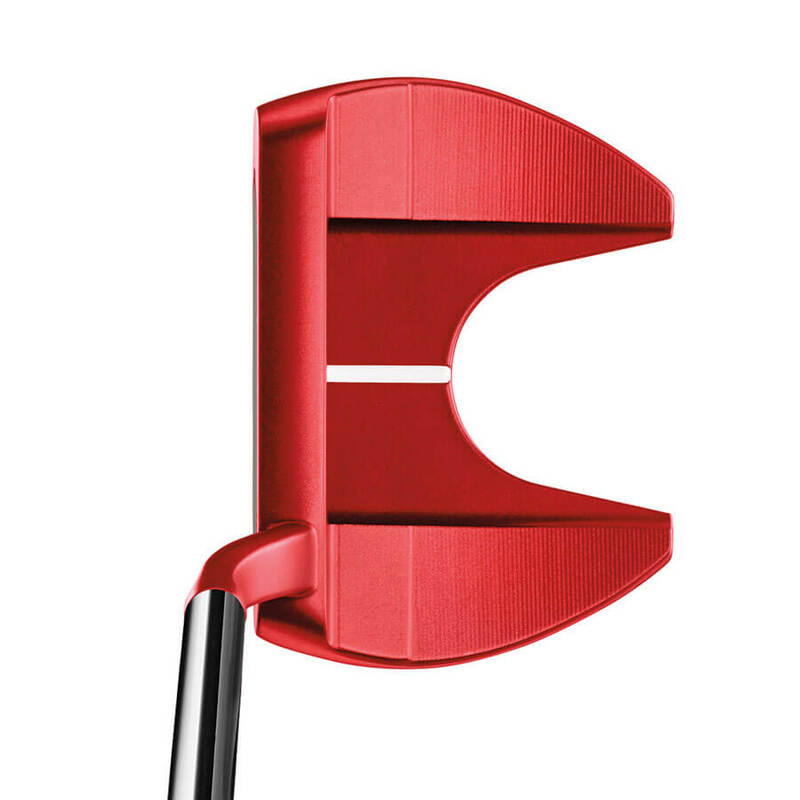 Ardmore is a putter with a face-balanced mallet with dual sightlines for an easy alignment. 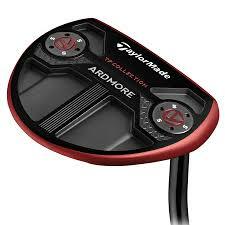 Ardmore CTR comes with center-shaft, face-balanced mallet designed to emphasize perfect center alignment. This one has a mallet with single top, double cavity sightlines and a 27-degree toe hang. Ardmore 2 Double Bend is a progressive, face-balanced mallet featuring single top, double cavity sightlines for a straight back and enhanced alignment. Ardmore 3 is your choice of putter for a flowing stroke and simple alignment, it comes with a mid-size mallet incorporating 40-degree toe hang. Chaska has been the choice of Jon Rahm, who has jumped up 500 spots up in the Official World Golf Ranking within a year in less than 30 matches he played. 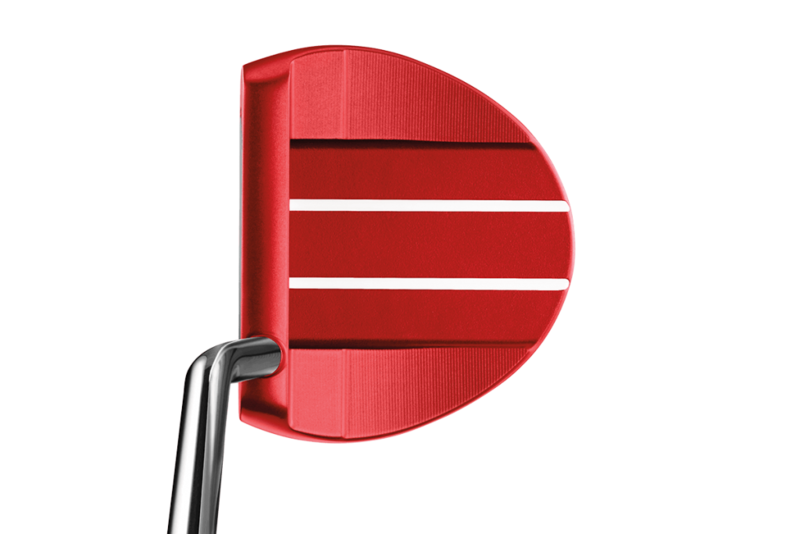 Chaska has a larger, face-balanced, semi-rounded mallet with three top sightlines for a confident stroke. Learn about the latest development on the PXG Vs Taylormade lawsuit for infringement here.